Seeing the band performing on stage in front of you? The feeling of the shouting crowd. But you are not actually there. 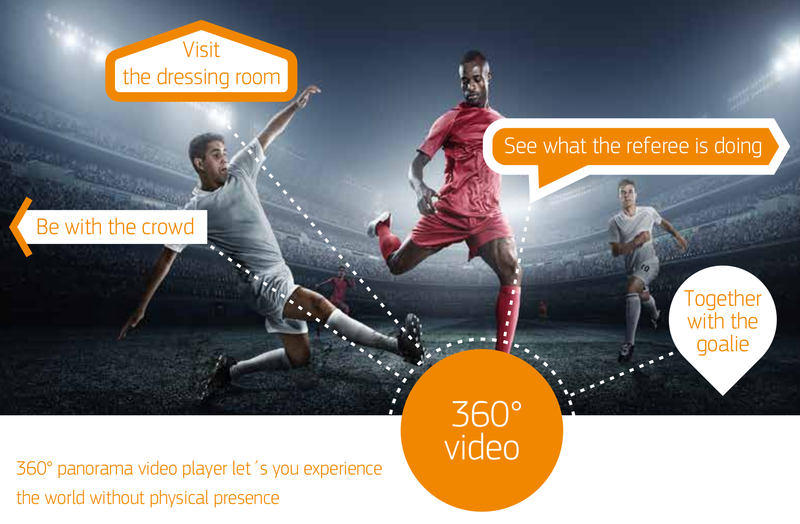 With 360° video player you are - and can even go to the backstage. Going to travel somewhere new? Want to take a closer look before deciding the target? With 360° video player you can travel the streets and even take a look at the attractions with your mobile. And yes, you can use it to explore the location as well, when actually at the place. Studying medicine at the library? What if at the same time you could visit the operating room, stand next to the surgeon or take a look, what the nurse is doing. Or both. With 360° video player you can actually be a part of the action and thus learn with a uniquely new method. In the world of Internet of Things, all objects in our surrounding environment create and provide information. An intelligent camera network with motion sensors gives us unprecedented possibilities to see and be in places physically impossible. With virtual reality goggles, high-resolution displays, fast processors and high-speed wireless communications truly immersive experiences are real.